Does Alcohol Increase or Decrease Your Dementia Risk? Alcohol drinks are frequently cited in medical news, both for their benefits as well as for the harm that alcohol misuse and addiction causes. So, what do those reports say about your mind on alcohol? Does alcohol impact the functioning of your brain? Does it affect your risk of developing Alzheimer's disease? In a word: yes. But how? The answer depends on several factors, but two of the more researched factors include the amount of alcohol consumed and whether someone is an APOE ε4 gene carrier. Multiple research and observational studies have demonstrated that people who drink high amounts of alcohol are at an increased risk of developing dementia. Alcohol-related brain damage may account for approximately 10% of all dementia cases. Imaging tests of the brains of high alcohol drinkers demonstrate atrophy (brain shrinkage), loss of white matter, decreased neurons and other changes similar to the brains of people with Alzheimer's disease. These cognitive impairments may develop over time, but alcohol can also cause immediate memory loss, known as blackouts. According to one study conducted on the risk factors for younger-onset dementia, alcohol intoxication as a late teenager is one of the highest predictors of men who will develop it. Additionally, a second study found that 57% of young-onset dementia was related to chronic heavy alcohol use. Moderate alcohol drinking is classified as drinking one alcoholic drink a day for women and two a day for men. Light drinking describes those who drink less than moderate drinkers but more than those who totally abstain from alcohol. In a study that involved over 3000 adults over the age of 75, light to moderate drinking was associated with a 42% lower risk of Alzheimer's disease and a 29% lower risk of all types of dementia. One study found that among women who were over the age of 90, a decrease in alcohol consumption was associated with an increase in the development of mild cognitive impairment and dementia. Another study considered how alcohol consumption affected people with a diagnosis of mild cognitive impairment (MCI). (MCI sometimes, but not always, progresses to dementia.) This study demonstrated that light to moderate alcohol consumption was associated with a decreased chance of mild cognitive impairment progressing into full dementia. Participants who never drank alcohol had a higher chance of developing dementia than those who were light to moderate drinkers, while heavy drinkers were the most likely to progress to dementia. Of interest, researchers in one study identified the participants who were APOE-ε4 carriers and those who did not carry this gene. (APOE-ε4 is a gene that is associated with an increased risk of Alzheimer's disease.) Study participants who were light to moderate alcohol drinkers and who carried the APOE-ε4 gene were at an increased risk of cognitive decline and memory loss, while light to moderate drinkers who did not carry the APOE-ε4 gene demonstrated improved learning ability and memory. It depends on whom you ask. Research has come to different conclusions about this question. Multiple studies have cited wine as specifically having protective effects on people's memory and cognitive ability. 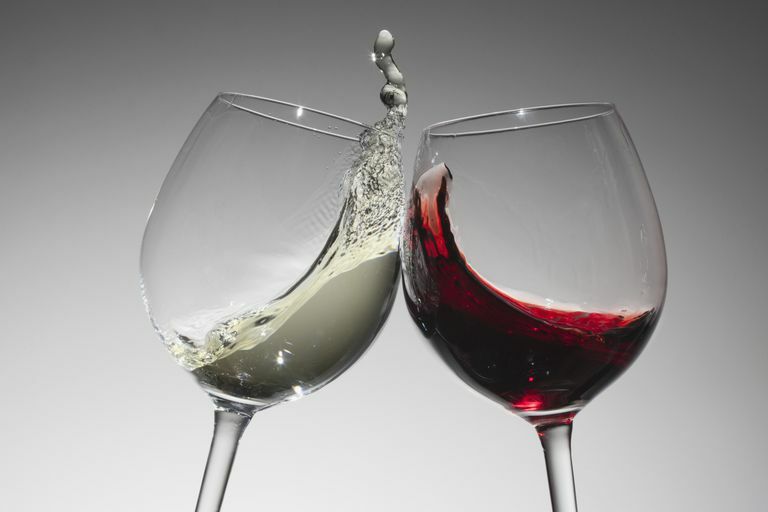 Other studies, however, have concluded that wine, beer, and liquor all have similar effects on cognition. There are some people that should not drink alcohol. This group includes but is not limited to alcoholics, people with Wernicke-Korakoff syndrome, those taking certain medications that could negatively interact with alcohol, people with certain medical conditions such as liver disease and pancreatitis, those who are under the legal age to drink, women who are (or are attempting to become) pregnant and those who are operating a vehicle or performing other complex tasks. Other studies have found that drinking alcohol has other health risks; thus, your decision to drink alcohol should be discussed with your doctor. For many people, research suggests that light to moderate drinking of alcohol seems to have a protective benefit on dementia risk. However, it's important to remember that alcohol use can lead to dependence and abuse, so caution is warranted.